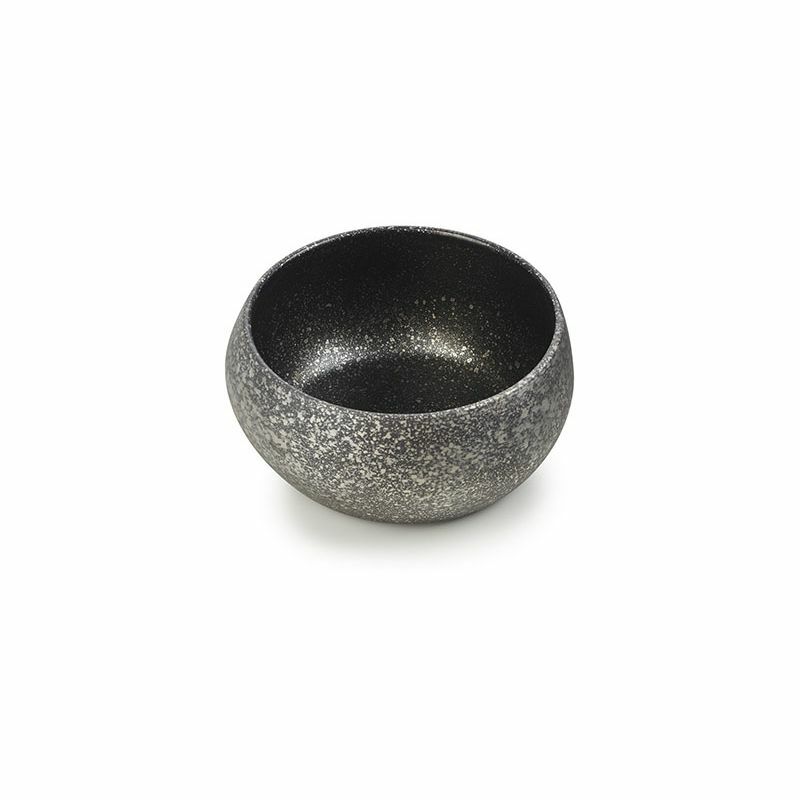 Solstice collection includes a series of bowls and trays crafted and decorated by hand. This bowl is the individual size Ø5. The bowls are available in 6 colors. Colors play with matt and glossy finish, gold and platinum reflects. The Cosmos Platinium is very dark inside and has touches of silver on the outside. Oven, dishwahser and freezer safe.